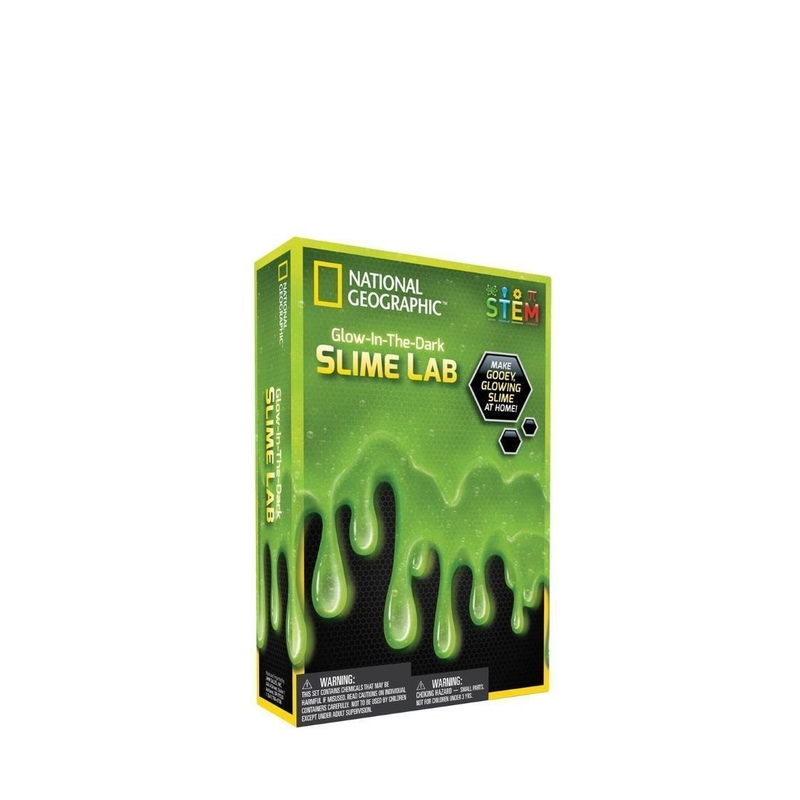 Make your own glow-in-the-dark green slime and learn all about the fascinating organisms know as slime molds! Kids will become chemists, concocting slime, learning about slime molds, and exploring where slime occurs naturally in nature. You’ll be amazed to discover how creatures, such as the hagfish, use slime to defend themselves while others, such as the snail, use slime to help them move around. How will you use your slime? Get your Slime Science Kit today and join National Geographic on a glowing slimy adventure!